Annie Taggart pretends to talk on phone during infusion therapy. Last October, a new clinic for brittle bone disease opened at Akron Children’s Hospital with little fanfare, but for families and staff it was a dream come true. Before this clinic opened, parents had to travel hundreds of miles to Omaha, Neb., or Wilmington, Del., to get care for osteogenesis imperfecta (IO), a complex disease characterized by multiple bone fractures. But now families like the Taggarts and Iorfidas only travel about an hour to see 4 to 5 different specialists for a single visit. Up to 50,000 individuals in the U.S. have osteogenesis imperfecta. Most cases of OI are caused by a dominant mutation in a collagen gene responsible for bone strength. There are at least 8 different types of OI with Types I (mildest) and IV (moderate) as the most common forms. While there’s no cure, physical and drug therapy, dietary management and surgery can maximize a child’s potential. Broken bones that occur from little or no trauma are often the first indication that an infant or child may have OI. Babies with moderate or severe forms of OI are often born with broken bones. Children with milder OI (Type I) often sustain their first broken bone as a result of normal activity — such as during a diaper change, while being lifted or burped, or when they begin standing and walking. Some individuals inherit this condition from a parent, but many of the more severe forms are sporadic mutations, or new to a family. DNA testing can pinpoint the specific type of OI. When Silas Iorfida was 8 weeks old, DNA testing through Akron Children’s genetic center confirmed that he has the same Type IV as his mom, Jolitta Iorfida. Jolitta especially appreciates the convenience of seeing 4 to 5 different specialists in a single day rather than on 4 to 5 different days. “With Akron Children’s OI clinic, we get it all in one visit, and best of all, someone is always available to answer your questions,” Jolitta said. 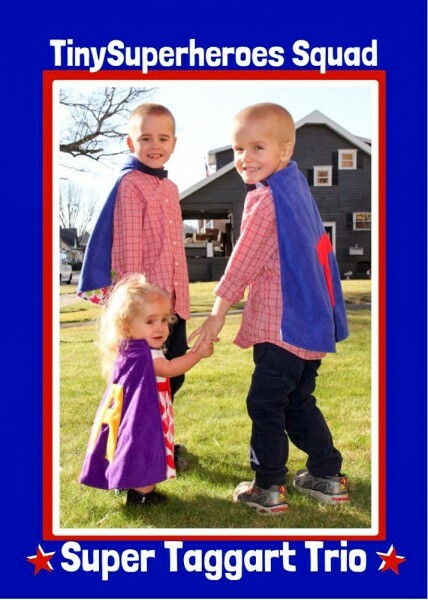 The Taggart family came to Akron Children’s by way of Pittsburgh’s West Penn Hospital. 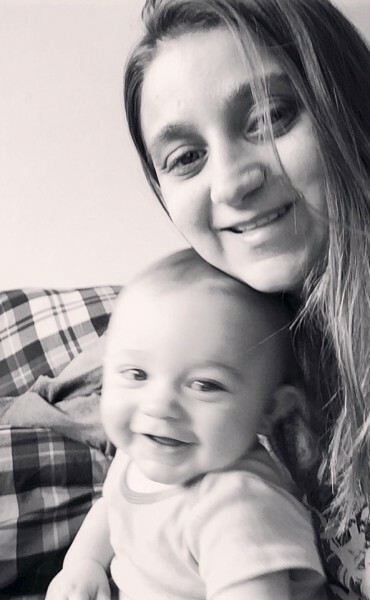 Sarah Taggart’s obstetrician in Steubenville sent her there at 5 months into pregnancy with her daughter, Annie, when her ultrasound showed extremely small bones. 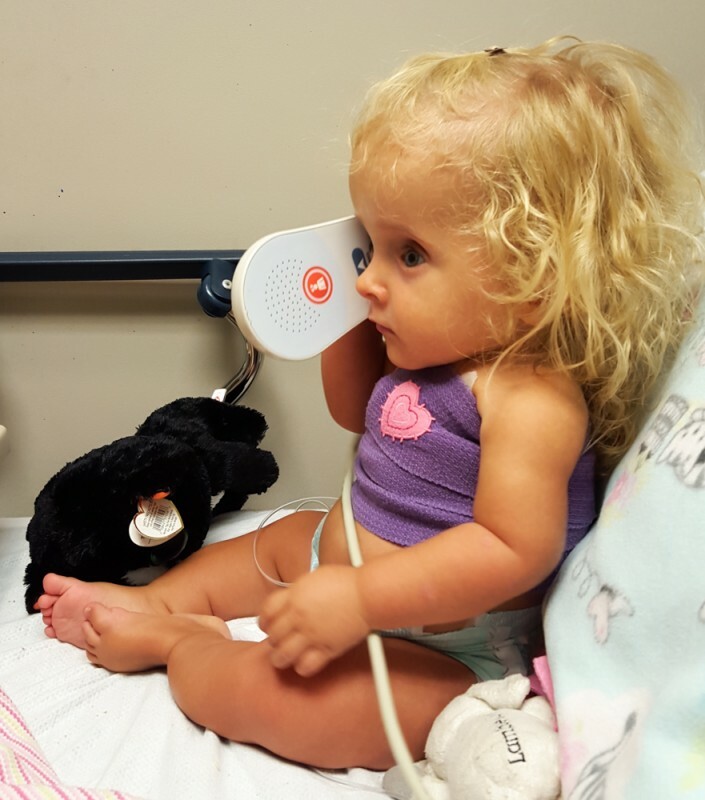 Annie was born with multiple fractures and spent a week in West Penn’s NICU with the preliminary diagnosis of campomelic dysplasia, a life-threatening bone disorder with bowed, short long bones. At 3 weeks, Drs. 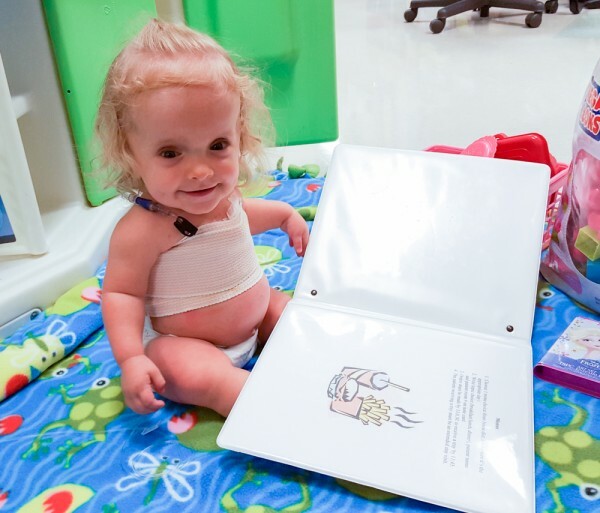 Haynes Robinson and Dennis Weiner diagnosed Annie with OI at Akron Children’s skeletal dysplasia clinic. A skin biopsy and genetic testing confirmed she had a moderate to severe type with a previously unidentified mutation in the collagen gene. Still the chance of recurring fractures was high and for the first year Sarah was the only one to handle Annie. “We memory-foamed everything in our house but still she had her first newborn fracture in her cradle,” Sarah said. Around her 2nd birthday in September 2015, they received news about the opening of Akron Children’s OI clinic. As part of her clinic routine, Annie currently undergoes bone-strengthening pamidronate therapy in the infusion center. Sarah loves that the clinic staff includes Annie’s brothers, Troy and Ty, in these long visits. Clinic coordinator Shannon Leslie agrees and shares a story about her first lesson learned from Annie. As a general pediatrician, he was drawn to Akron Children’s because of its skeletal dysplasia clinic reputation and the fact he has cleidocranial dysplasia, a condition associated with mild short stature, scoliosis and dental problems. “Our goal is to provide the families with holistic care – working with physical therapy, orthopedics, genetics, dietitians and the primary care physician for a regional center of excellence,” said Dr. Artinian. He points out that although the treatment of OI has been revolutionized with the development of new therapies, the main questions parents have are about medical management. Silas is a beneficiary of these new developments. According to his mom, he’s had 7 fractures in his short 10 months but since the infusions, he has had no major breaks and is healing faster. In the span of 2 clinics, families and staff seem to be just as enthusiastic about Dr. Artinian as he is about them. Annie is the perfect example of these surprises. Her mom was told early on that Annie probably would not be able to walk. 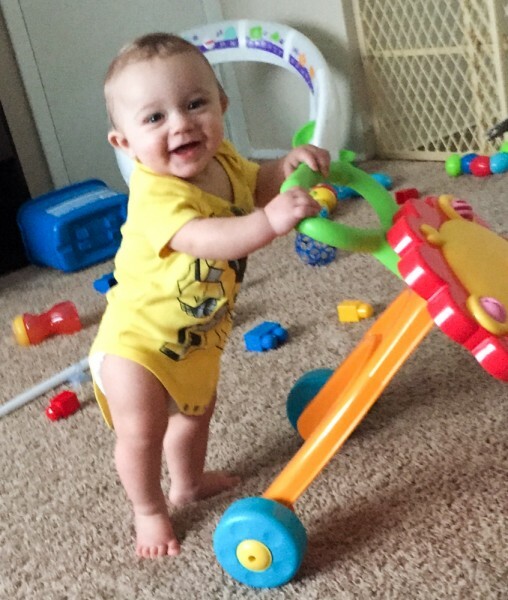 Recently, she surprised everyone by standing on her own for over a minute. Melonie Michelson is a freelance writer and science educator who spent over 30 years working as a genetic counselor and educator at Akron Children’s Hospital. During that time, she developed and coordinated Akron Children’s fetal treatment center and publications such as Teaching Human Genetics: Resources for Science and Biology. After having a child with a genetic condition, she switched career paths from journalism to medical genetics.